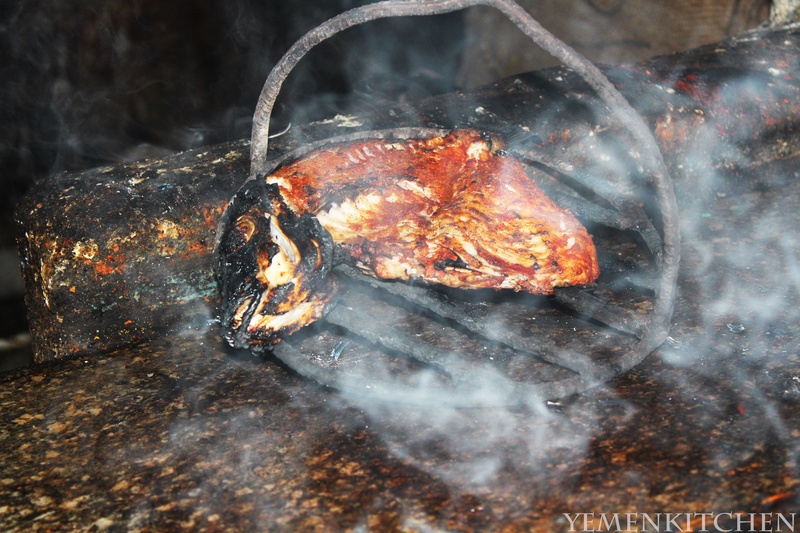 For Seafood lovers, and adventurous foodies, Samak Tanoor is something that you can’t miss when you are visiting Yemen , Which is eating a fresh fish right from the fire oven, famously named Mafi /or Tanoor. 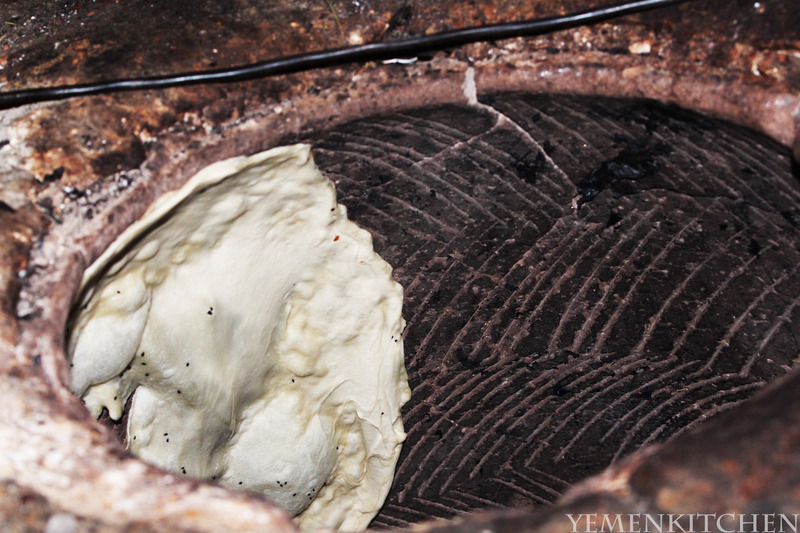 It is a specialty that people who live over the seashores of Yemen knows and depend on for eating, but famously people from the village of Shaiban perfected its preparation. Surprisingly, Shaiban village is not located over Yemen’s 250 km seashores, it’s actually located deeper to the middle part of Yemen, in the western outskirts of Taiz. 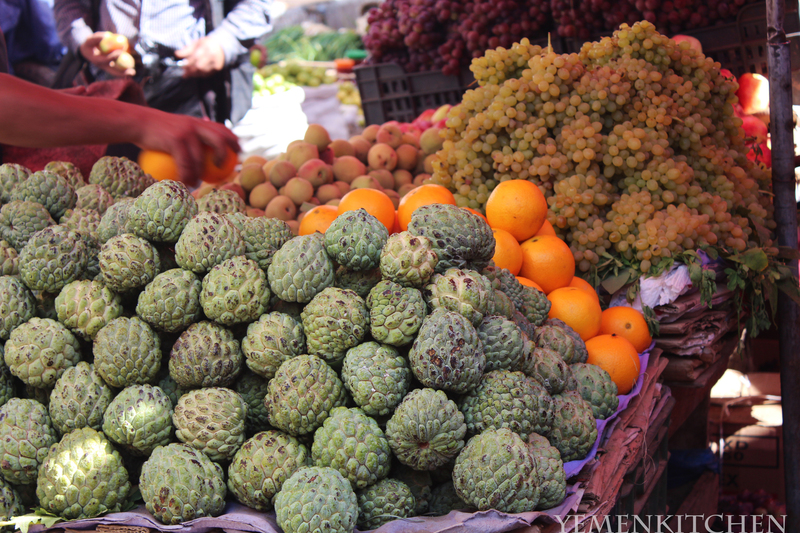 Shaiban’s location is considered one of the driest parts of Yemen. Its people are not farmers, but mostly hard workers or self-employed. 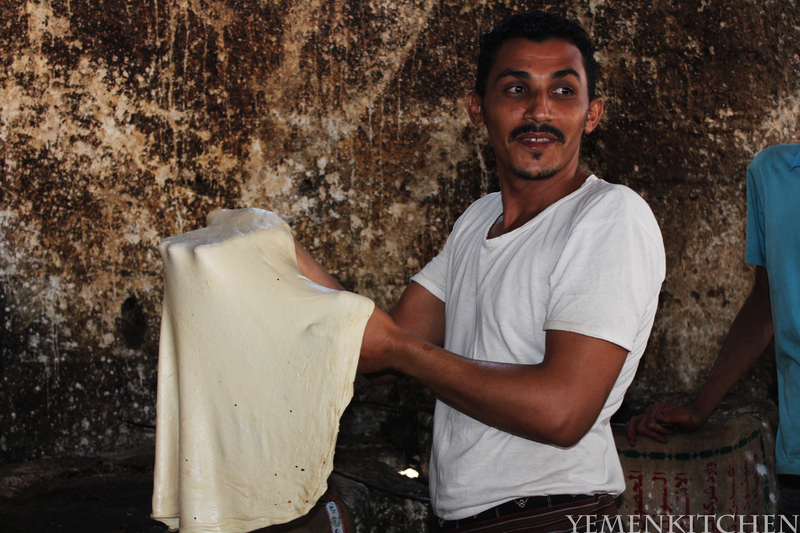 Most of its youth has migrated to other towns and cities of Yemen to work. Many people from Taiz and its surroundings had major migrations to Aden, the jewel of the crown of Arabia Felix at the times when it was part of British colony until 1967. 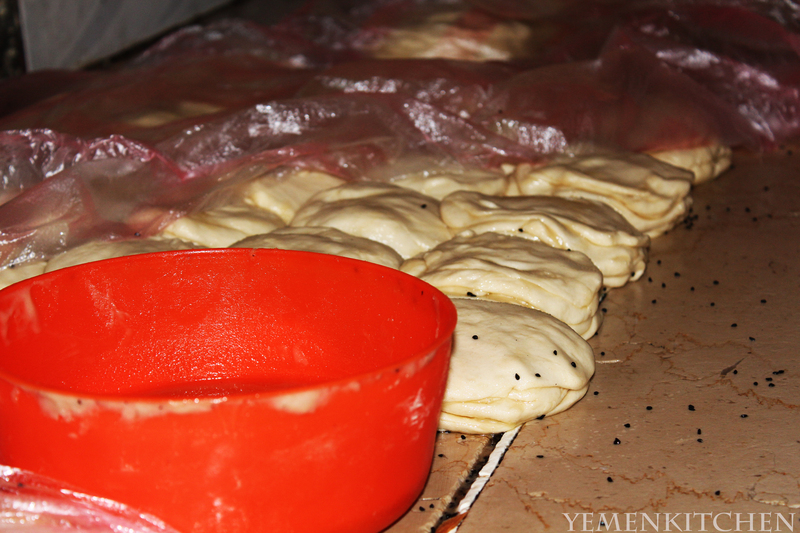 It must be one talented immigrant from Shaiban that perfected the fish making, and since then started sending his relatives from village to where he live and teach them his work. 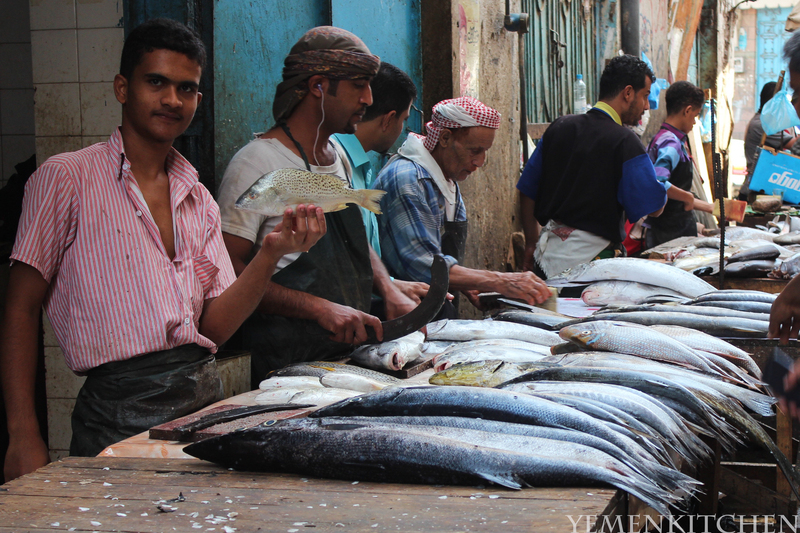 Before we all noticed, people of Shaiban held the secret of trade with pride, and every good fish restaurant in Yemen was owned/managed or at least the cook was from Shaiban! Shaibani’s Restaurants started picking up fame since the mid of nineties, and local restaurants –especially in Sanaa the Capital –started changing the layout of the restaurant to make it more suitable for tourists and middle class families. 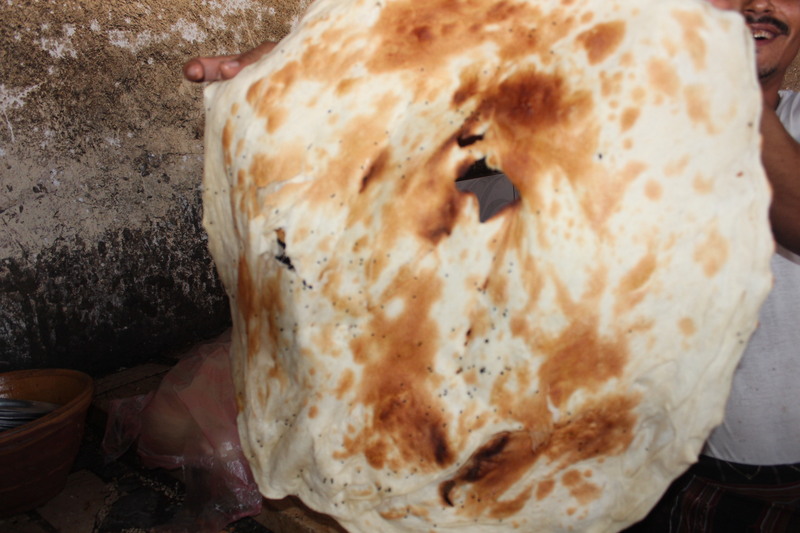 So I decided I must go to one of these local treasures here in Taiz,a Shaibani restaurant in the heart of the chaotic Downtown, between the Fresh market and Fish market of Almarkazi area. 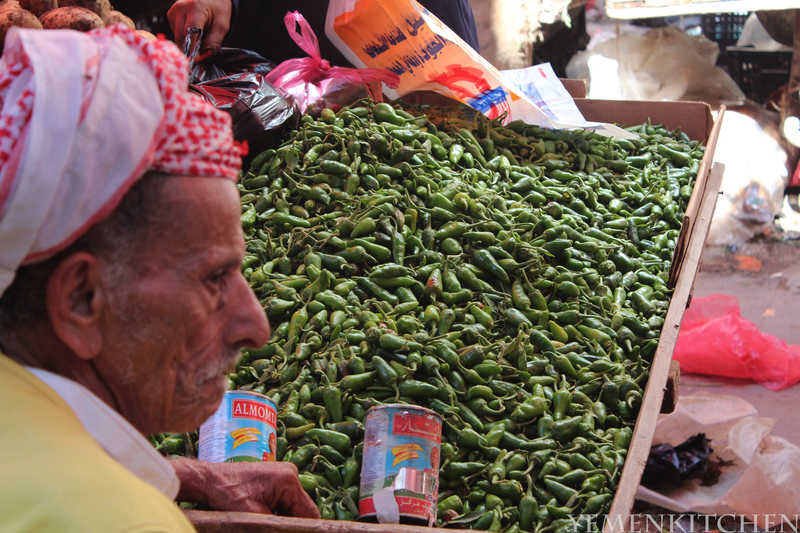 The hustle and bustle of the market makes it an interesting place to wander around and negotiate over fish and vegetables prices. 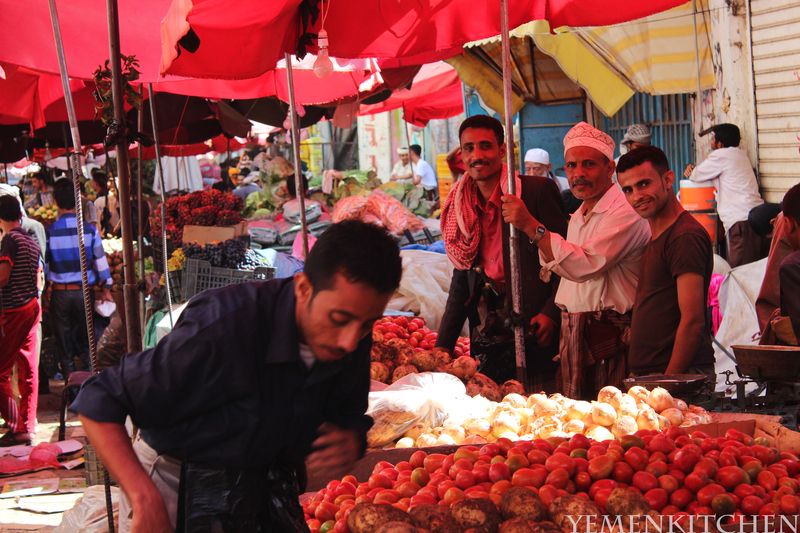 Yemeni merchants have so much pride when negotiating; it is usually a delicate dance between the shopper and the seller. What I also noticed they are very friendly and would accept a tip sheepleshly if you offered it but would never ask for it. 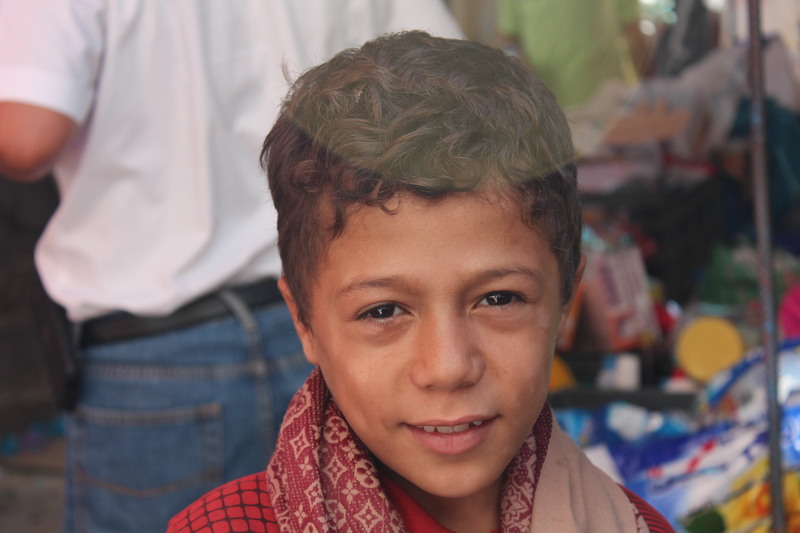 So many kids and people in the market were noticing my camera as I continued to take photos and kept asking why am taking those photos , and if am sending them to Aljazeera Channel, A major broadcast channel in the middle east?! This did not surprise me, since it is always a wonder for locals to see some one photographing and documenting their daily lives, that in my eyes is interesting, but for them , its just another day in the market. People where friendly and asked me to take their photos. 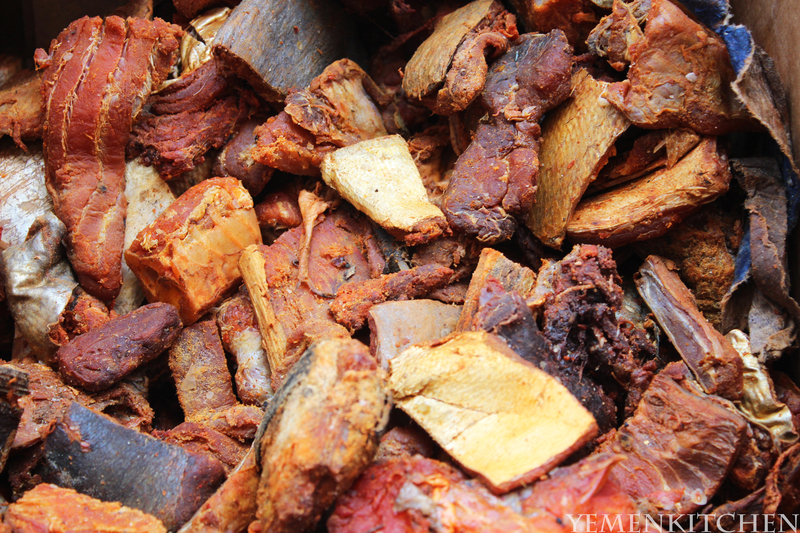 DRIED SPICED FISH, A DELICATESSEN and a tradition kept from the old days when that was the only way to eat fish in Taiz.Now with trasportation and fridges people eat fresh fish and only few eat it dried. 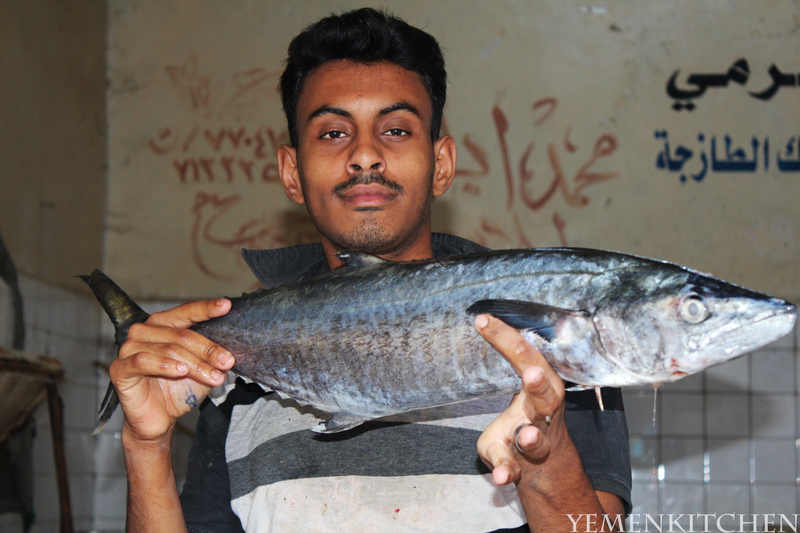 I picked a big fat fish that just arrived from Almakhaa –Mocha, المخاthe closest seashore to Taiz-only one hour by car. Previously was famous for its port the Imported Yemeni Coffee to the rest of the world, and from there Mocha Coffee is known to everyone. 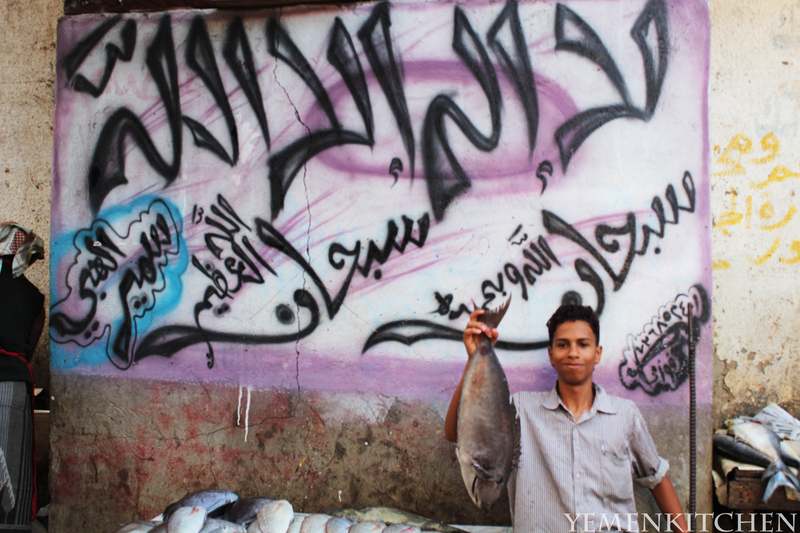 Another thing that so many people don’t know about Makha, is that it is the main source of fish for its surrounding, and Taiz, and a big chunk of its daily fish produce get imported to Saudia Arabia. 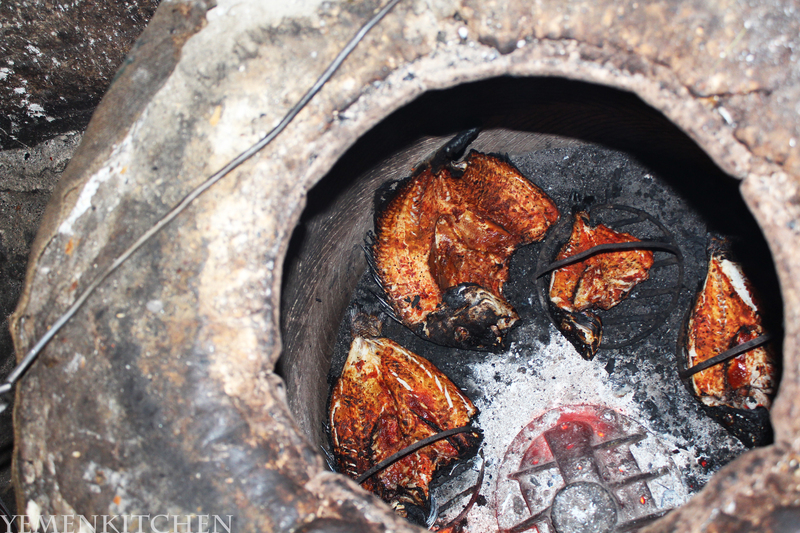 Later on, I brought it to the Shaibani, and the cook assistant brushed its mid-section with a special sauce made of chili , spices and salt , then was inserted into a clay oven that would probably be a dizillion Fahrenheit hot for less than 15- minutes. Something that I really enjoy about the Yemeni grilling style is that oil or fat is never added on meat. The natural fat in the protein is usually enough to make it healthy, juicy, and succulent. Meals are usually well portioned to make sure everyone get enough of it without having leftovers, as daily fresh food is important in the foodies’ mentality over here. 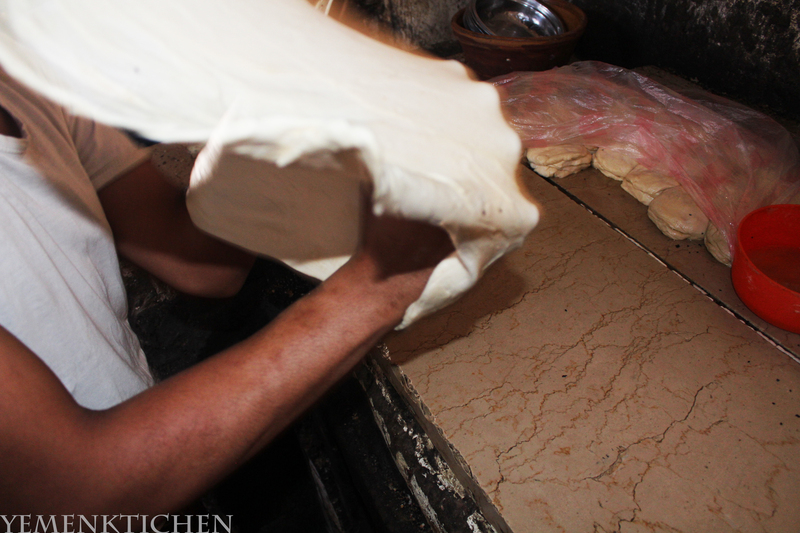 When we arrived to the Kitchen, we met Azman Alshaibani , the chef and the one responsible for making the magic happens. A young man in his thirties, who instantly offered his skills in working with entrepreneurs’ abroad. He believes that this idea will make a great success, as there is a big demand for fish made in the oven the way he does it. 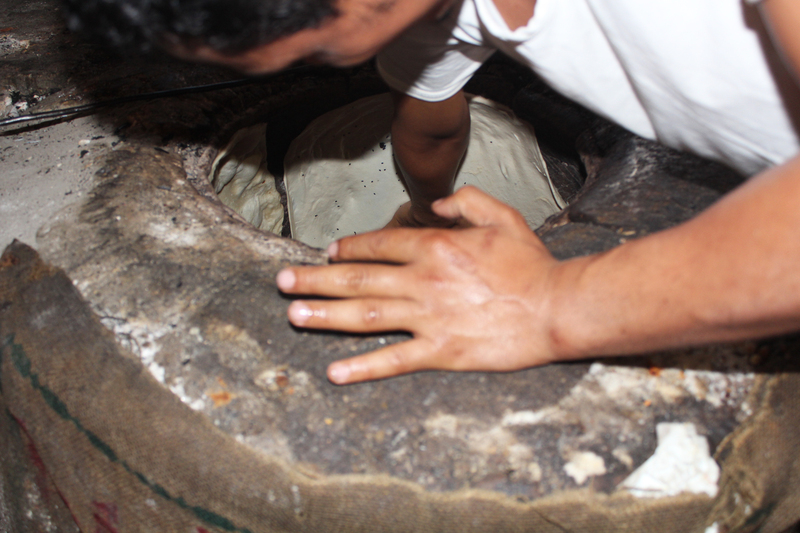 It would be impossible for the Chef to stick the super thin dough on the extremely hot surface of the clay oven without those zigzag marks on the surface, it helps to stick it tightly and not fall in the center of the oven and get burned with fire. Azman and the rest of the crew, eating fish for breakfast. I wasn’t able to give Azman a promise that an entrepreneur somewhere will discover his talent for fish grilling on clay oven , but he was happy enough to make him some business for that day. He was enjoying this big breakfast consisted of fish , Rashoosh bread, and some bisbas chilli dip, when I left with my fish in one hand, and camera in the other,and excited with my photos and the stories that I got from the market.